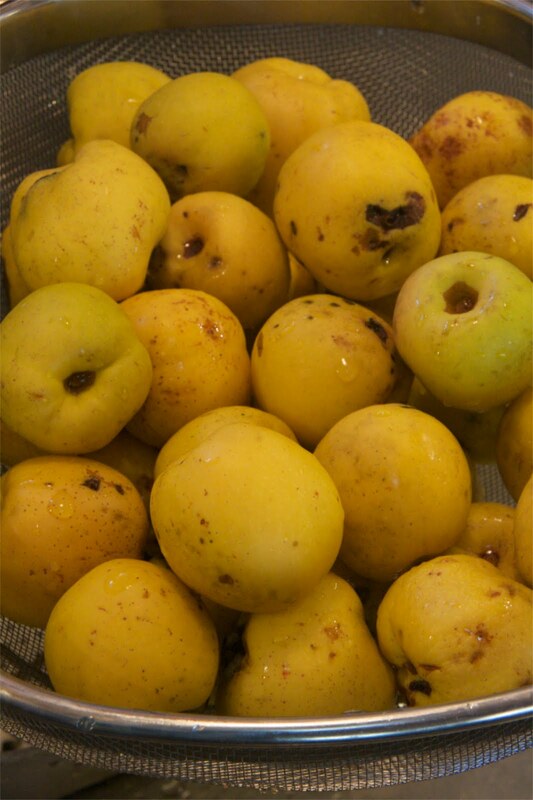 'Tis the season to cook with quinces. 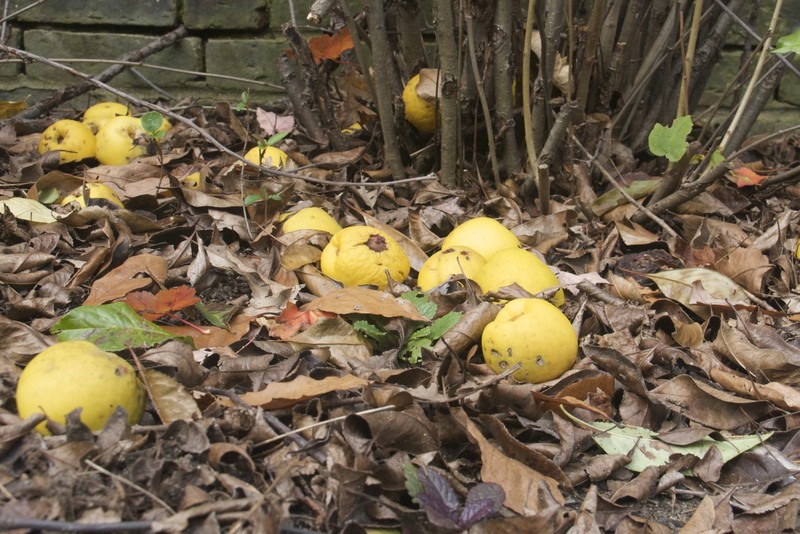 I've extolled the virtues of the traditional quince in the past, but these days I'm looking at edible plants from a different point of view. The ornamental quince (Chaenomeles japonica) is grown primarily for its flowers. When I was growing up we had a beauty in our garden, and my parents told me the fruit wasn't edible. I'm sure they weren't intentionally lying to me. Most people just don't realize these hard, yellow fruit can be delicious. Ornamental quince grows well in containers and new hybrids have expanded the flowers' color palette from shades of pink to include orange and red. Please note that some of these hybrids (specifically the Proven Winners Double Take series) do NOT produce fruit. So sad. Were they bred that way on purpose? Did someone think that was a good thing? Spring is the pretty time for these shrubs, but fall is when they get interesting. Small ripe fruit looks like lumpy tennis balls. They're often marred by large black spots, but these can be cut away during preparation and do nothing to mar the sour, complex taste and fragrance of the fruit. Flowering quince is great for making jelly. It has loads of pectin and jells easily. 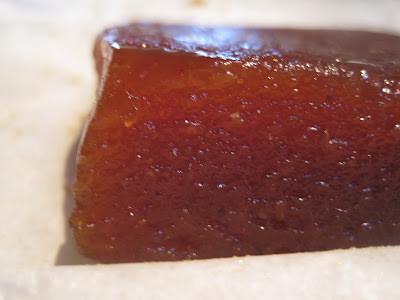 But why not be a little more adventurous and experiment with membrillo? 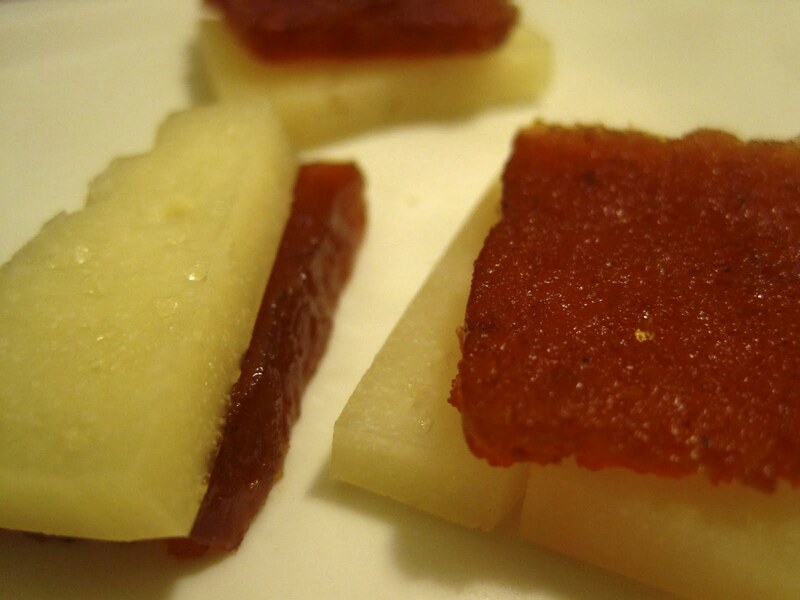 Membrillo (aka quince paste) is a classic Spanish dessert. 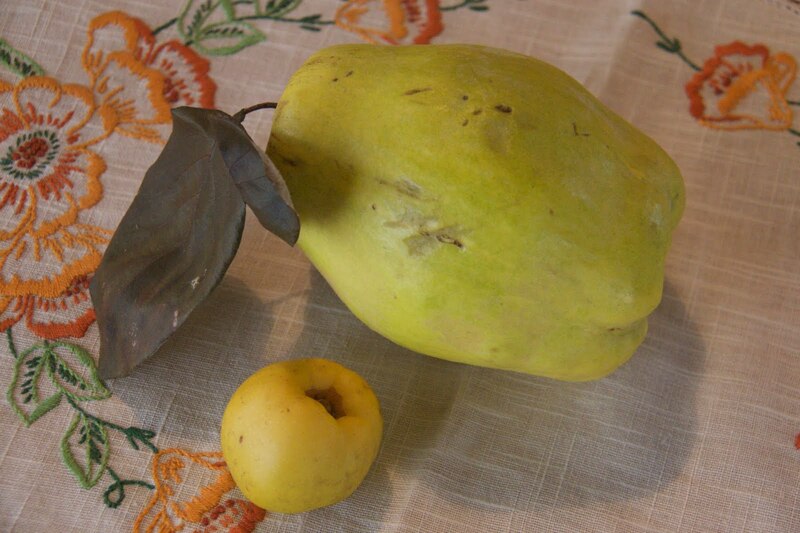 Most recipes call for traditional quinces, sugar, and water...that's it. I used ornamental quinces, and added a vanilla bean and a Meyer lemon. It's time consuming, because basically what you're doing is cooking all the liquid out of the fruit mixture, which literally takes hours. But boy oh boy is it worth it. Serve it with slices of manchego or sharp cheddar and you'll impress the hell out of your dinner guests. After they've enjoyed it and praised your culinary skills, you can tell them you picked the fruit from the flowering shrub on your terrace. If you don't have a terrace, you may be able to score some ornamental quince fruit in your local park. Most people let them fall and rot. I harvest from the same spot every year, offering the shrub's owner some jelly or membrillo in return. 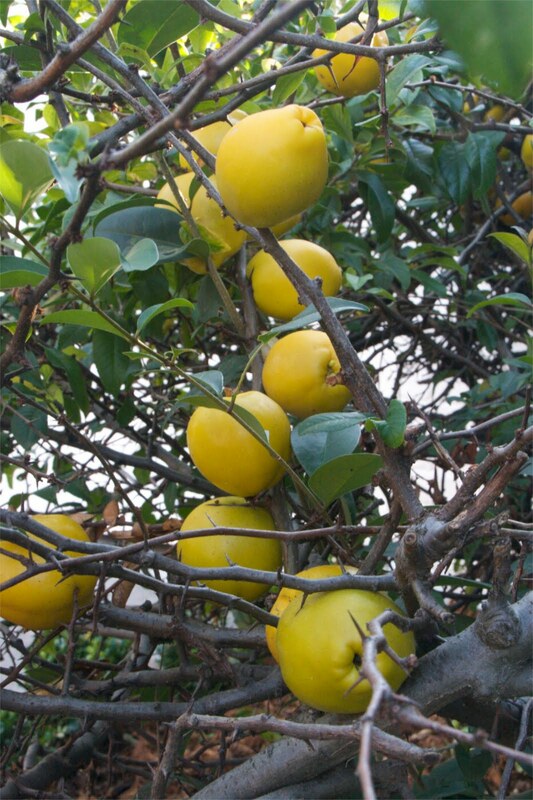 I have fond memories of unloading pots and pots of quince from trucks in the spring then at the end of the day pulling the sharp thorns out of my legs. ah memories! I've always wondered what these tasted like, Thanks for this interesting read! I'm confused. And I'm not the only one.